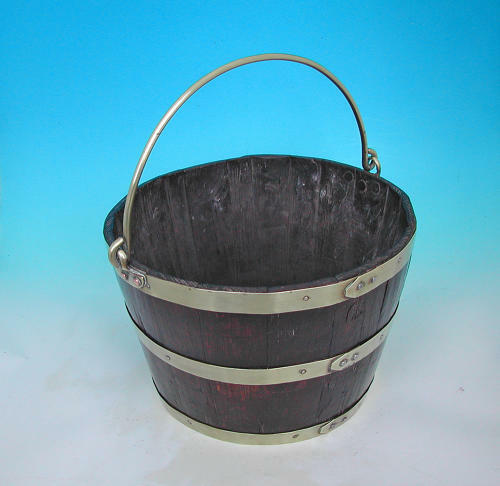 Early 19thc Oak & Brass Coopered Peat Bucket. English. C1820-40. An impressive Oak & Brass Coopered Peat Bucket from the early 19thc...it has gained a really good colour from years of use and I love the way it has been made still retaining the visible marks of the adze and the pitt saw marks on the sections of coopered Oak....very nice quality.